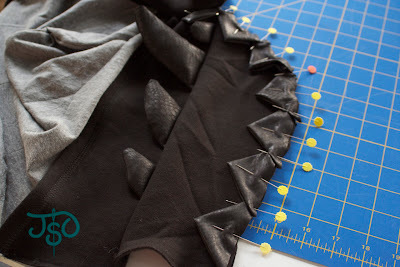 JustSewOlivia: How to Make 10-Second Prairie Points ... or in my case, dragon spines! 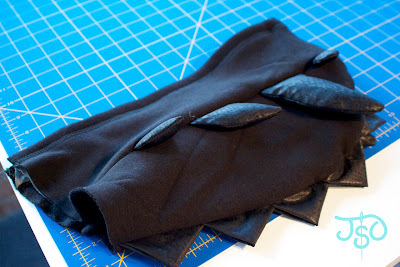 How to Make 10-Second Prairie Points ... or in my case, dragon spines! Prairie points have been around for eons, and many quilters use them to decorate the edge of a quilt. 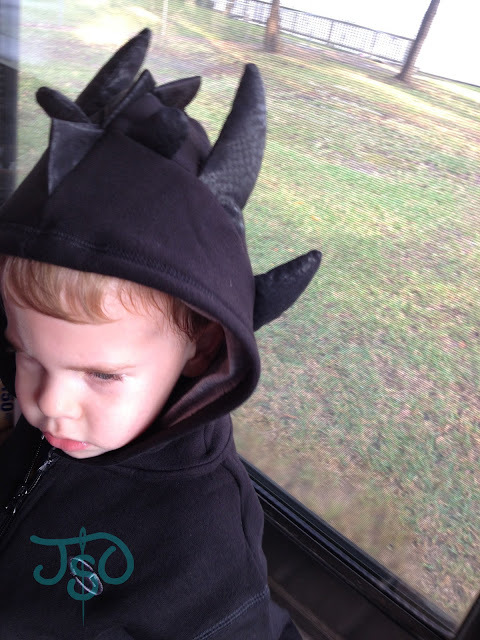 But they're not just for quilts: I used them this week to make the row of spines down the hoodie and tail on my son's Toothless dragon costume! Like everything else, people have designed all manner of ways to make something really simple, well, hard. 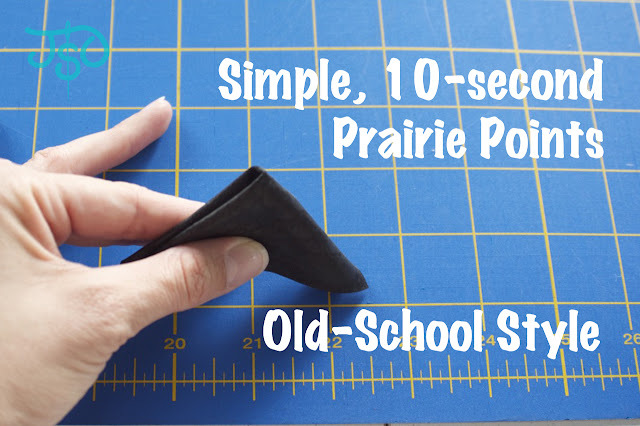 For example, check out this tutorial for continuous origami prairie points. I'm impressed -- it's really clever -- but I like the plain, simple way my mam-maw taught me. And it takes -- literally -- like 10 seconds. 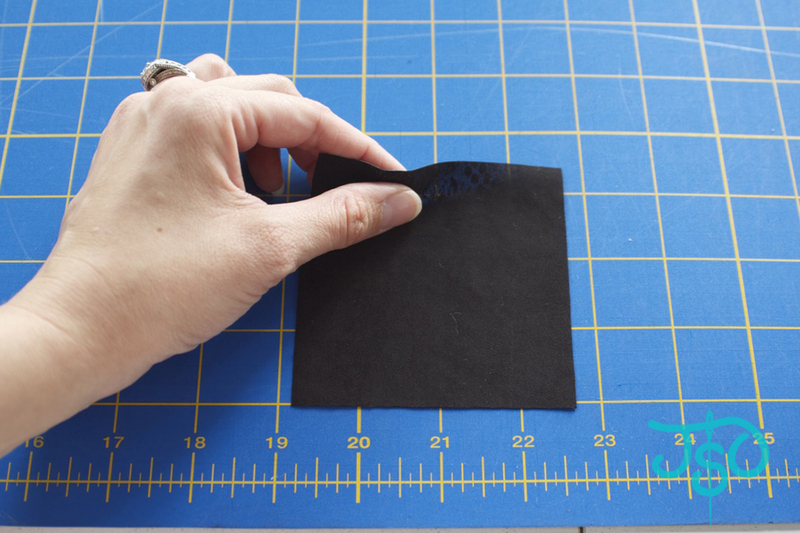 Start with a small square. This one is 3 1/2 inches. 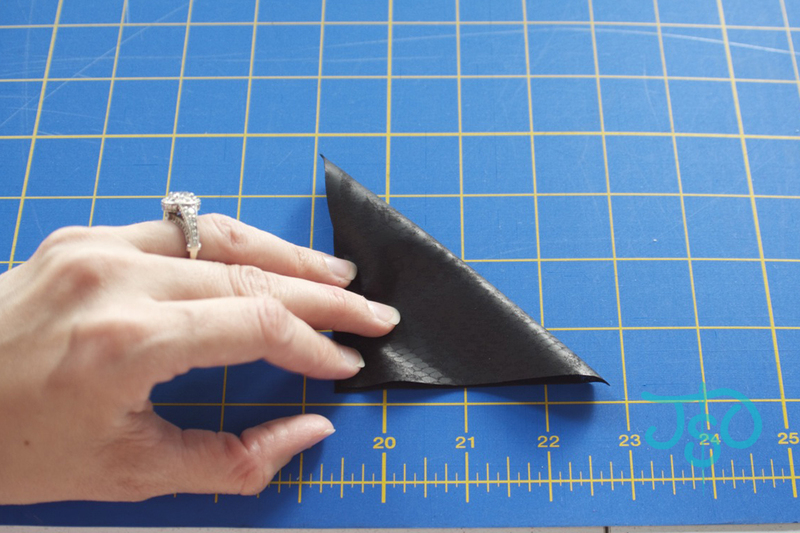 Fold it once from corner to corner diagonally. It doesn't really matter which corner you start with, but consistency will prevent silly mistakes later like mismatched prints if you're using a directional fabric. 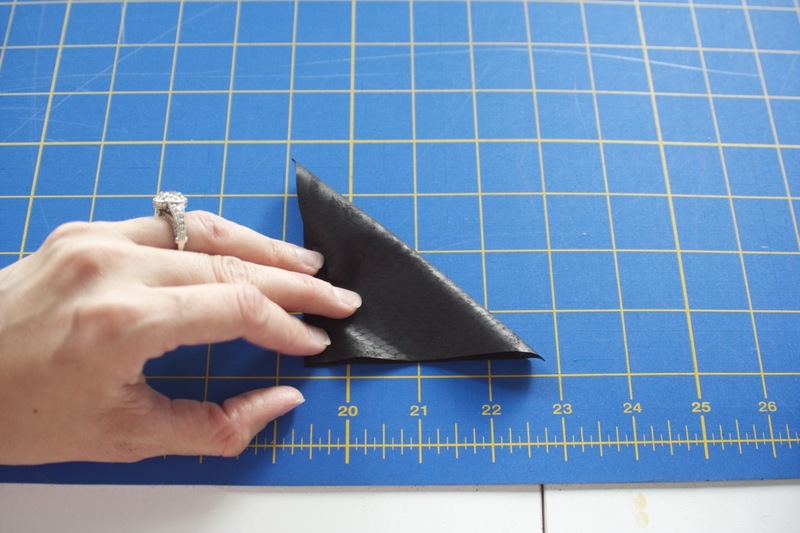 Next, fold it in half again from corner to corner along the long edge of the triangle. This should leave you with a triangle with all the raw edges lined up on the same (long) side. 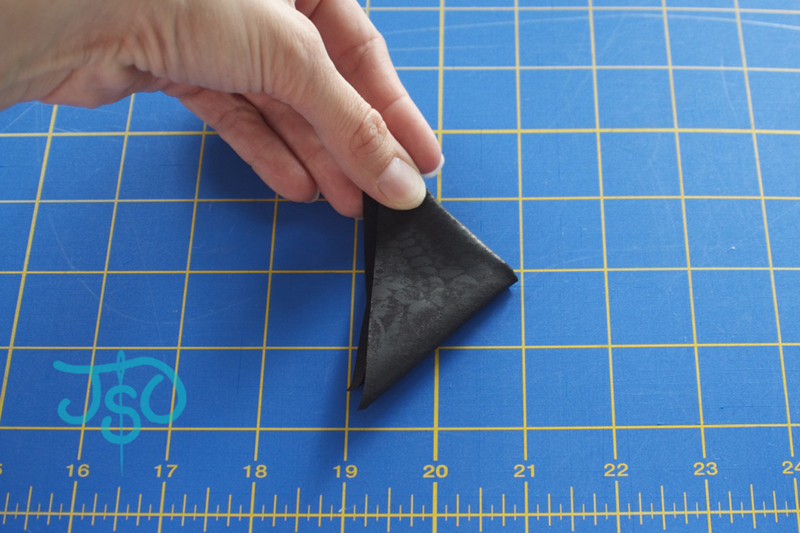 Next, arrange your prairie points on your project. Working with individual squares gives you the flexibility to space them out however you like. I love tucking mine into the previous point. It's like they're giving each other little warm, quilty hugs! 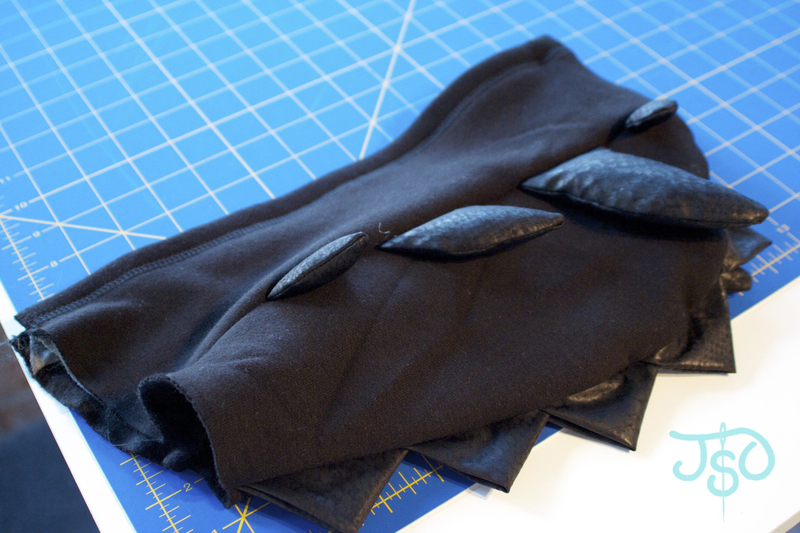 Here I'm working with a really slippery, limp knit. (Doesn't it make a cool dragon skin?) 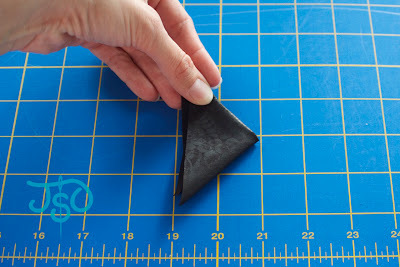 With a squirrelly fabric like this, it helps to pin the points in the center and again at the connection between them. If you're working with cotton, you can press them into shape with an iron, and you won't need so many pins.